Blue and yellow octopus cotton cat toy with dangling string. Measures 3-1/2” long. 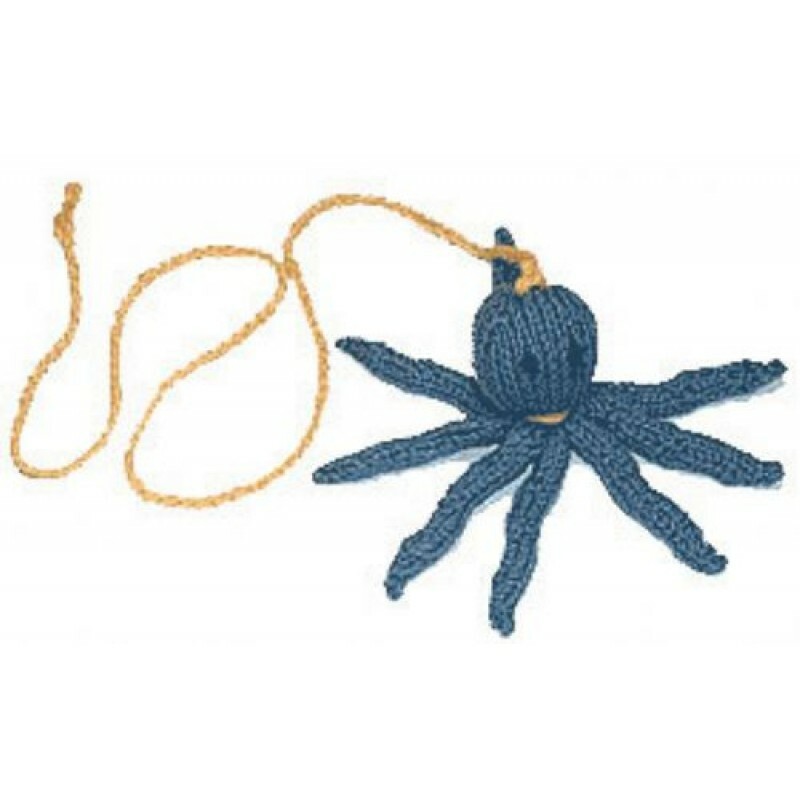 Soft knitted cotton octopus is filled with organic catnip and stitched with a length of string for dangling and twitching seductively or hanging from a doorknob.